Still tracking tweets, likes, favorites, followers, and comments the old-fashioned way? In 2016, say goodbye to outdated, clunky dashboards and manual social media account management. While you may already be familiar with some of the big names in social media account management like Hootsuite and TweetDeck, easy account management doesn't stop there. 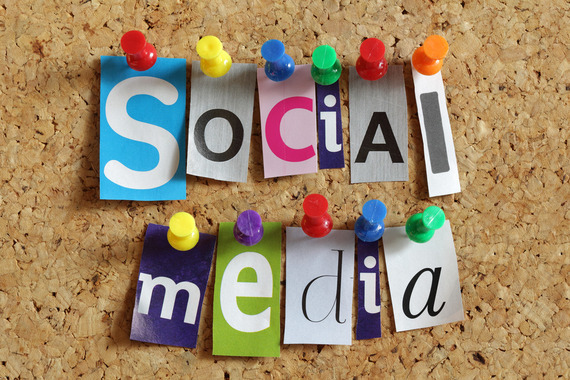 Here are five my favorite (but often overlooked) social media marketing tools. Add these to your arsenal in 2016. The ultimate all-in-one dashboard: Cyfe. Cyfe is an all-in-one business dashboard makes it easy to monitor virtually every piece of analytic data about your business (really). Pre-built widgets pull data from popular services like Google and Salesforce. Add you own custom widgets or Push API for integrating addition data. Boom: all the data you could ever need (and none you don't), all in one place. Track brand mentions, Twitter followers and Facebook demographics from the social media dashboard. Head to the startup dashboard to track the number of new sign-ups, app downloads, subscriptions and other KPIs in real-time. Automate client reporting with SEO, social media and advertising data from the client dashboard. Plus, there's a web analytics dashboard, sales dashboard, project management dashboard, IT board and about every widget you could ever need. Unlock the power of pictures: Curalate. With 2.6 billion images shared each day and Instagram the de facto social media network for savvy Millennials, there's no denying the power of visual content. Kick-start your visual brand management with Curalate. Curalate applies image recognition algorithms to social media conversations and then scours social media sites including Instagram, Pinterest, Tumblr and Facebook to find what people are saying about your brand in pictures. Instantly see what people are visually sharing about your brand, collect and moderate fan photos for user generate content, push content to a fully customizable, shoppable image gallery, and schedule your own images for posting on Pinterest and Instagram. Connect with your best followers: Social Rank. Social Rank is the easiest way to identify, organize, and manage your followers on Twitter and Instagram. Social Rank sorts your followers based on Most Valuable (highest profile followers), Most Engaged (frequency of retweets, mentions, and replies), Most Followed, and Best Followers (followers who have engaged most recently with you). Add additional filters to find followers based on bio keywords, geographic locations, interests, and activity. Create custom lists for special engagement campaigns and find out who your competitors' top followers are! Supercharge your viral linking strategy: Babbly. Babbly is a social sharing tool that boosts your content to reach viral status. Have a link that deserves sharing? Post it to the Babbly community and watch it go viral. Set the number of shares your URL deserves, select a post category, add a simple description for the post, and watch as your URL reaches a huge and diverse audience, thanks to the power of Babbly's network. The more links you share; the more sharing love your links will receive. Build a curated content stream: Quuu. Content curation is one of those time-consuming but necessary evils, especially for brands. You never want to be pumping out a constant stream of your own content, and user-generated content can be hit or miss. Your solution: Quuu, which offers hand-curated content solutions and essential puts your content marketing on auto-pilot. Start by selecting relevant categories that matter to you and your audience. Next, send hand-curated content directly to your Buffer.com account. Manually curate and schedule posts through Buffer. Quuu takes just a few minutes to set up and then it runs itself on autopilot, saving you valuable time and sanity. New social media management tools can seem like a dime a dozen these days. Some can end up as just another annoying dashboard to login into a few times and then forget. Don't settle for one that doesn't work for you! The right tools make social media content easy to create, curate, manage, schedule and analyze. And with the rise of live-streaming platforms like Periscope in 2016, the right social media management tools will empower your brand to capitalize on live, authentic and spontaneous communication. Have a social media marketing tool you love but I missed? Share your favorites from your arsenal in the comments below.